The following excerpt is from the article 5 Ways Businesses Are Using Visual Storytelling on Facebook, written by Ekaterina Walter and published on SocialMediaExaminer.com. Take a look at Walter's ideas below, then check out some examples we pulled from Facebook of college stores who are implementing each strategy effectively. Be sure to read her full article for further information. The American Express Facebook page strives to give a strong visual representation of the brand. That can be a tall order for a service-based company. American Express rose to the challenge by taking photographs of related items, then sharing them with short updates that ask a question or evoke a certain feeling. Recently, the freezing weather in the US has everyone talking. 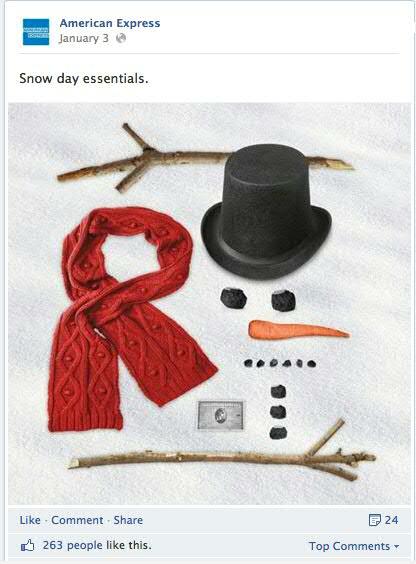 American Express shared this simple but hugely descriptive picture on their Facebook timeline. Tip: Photograph your product with everyday objects or in a live setting to tell a fun story or spark an emotional connection with your community. Take advantage of trends that are relevant to your audience to show how a customer could use your product. This store positions their merchandise in real-life situations with their Look of the Week promotion. They post these fun photos on their social pages to draw attention to their merchandise! Many businesses make a point of giving back to their community, but TOMS shoesgoes much further. The company was founded on the charitable concept that for every pair of shoes they sold, they would donate a pair to children in poverty around the globe. TOMS makes an impact on their fans by sharing pictures of those they’ve helped. It’s one thing to know a company has a strong charitable background, but seeing it helps fans appreciate the effect they’re having on the world. This store doesn't just support a cause that matters to them, but rather several causes that matter to their students! Every month, one student is selected and asked to pick a charity that is close to their heart. 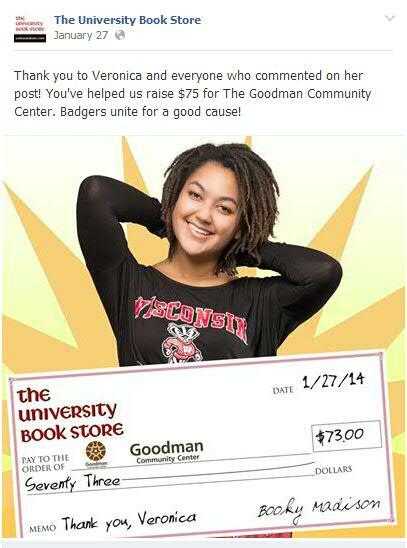 During January, for example, Veronica picked The Goodman Community center and the store donated $1 for each person who commented on their post with a response to the question 'What does "community" mean to you?'. Not only does this show support for their community, but also drives engagement. The post received 28 likes, 19 shares and 75 comments! 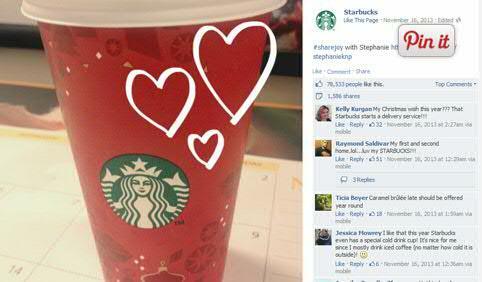 The Starbucks’ Facebook page celebrates the most important people to the company: their customers. Starbucks posts Instagram photos from their fans to give a customer’s-eye view of the brand. Not only is this a fun way to show customer appreciation, it’s a really clever way of generating fresh, relevant content that brings business and customers closer together. 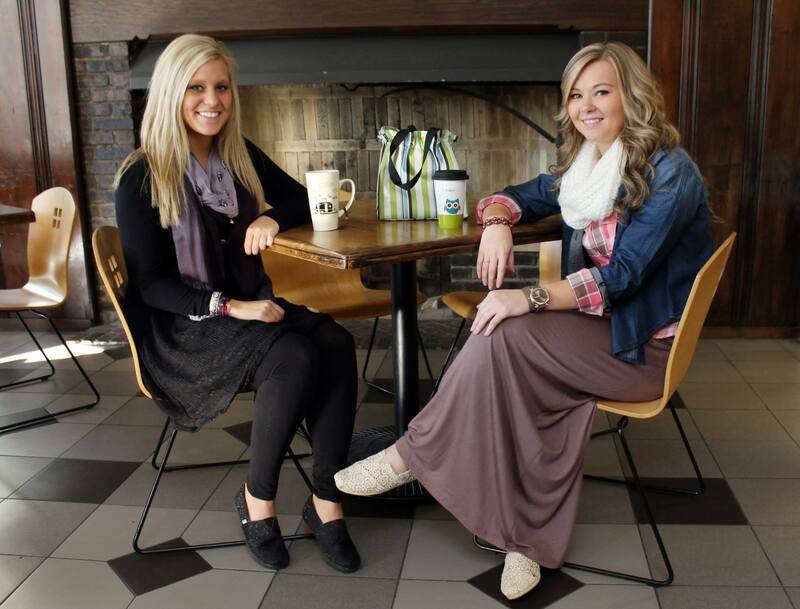 How College Stores Are Achieving It: You Tell Us! How does your store incorporate crowdsourced content? Share your successful promotions or contests in the comments section below to inspire other stores!